As a Boutique Grower Producer, we look to make wines that are the best expression of the grapes in that particular vintage. We only make certain cuvées in exceptional years. Here, we give an overview of each of our wines. Although cépage will vary slightly from year to year, and some wines will only be produced in certain conditions, with limited availability, the cuvées from different vintages exhibit common characteristics which we describe. We hope that you enjoy exploring the Fox & Fox range. * Up to and including the 2013 vintage, we called Inspiration a Blanc de Blancs. In deference to the increasing quantity of Pinot Gris in the blend, we now refer to it as Blanc de Gris. This is a joyous wine. It is a testament to our love affair with Pinot Noir dominated fizz. Enticing small bubbles create a rich mousse sparkling with ripe baked-apple flavours that linger. 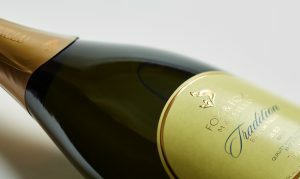 It is a beautifully rounded fizz with a satisfyingly long finish. 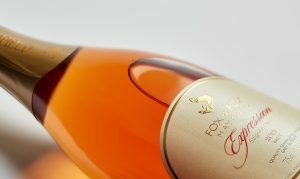 Complex Saignée Rosé, capturing red berries and spice from the predominantly Pinot noir base. Lifted by a suspicion of Chardonnay and Pinot Gris, to give a long satisfying finish. This is a “field assemblage” from our Hobdens single vineyard site. A limited edition release of only 500-700 bottles in any one year, our magical Midnight delivers an abundance of exquisite ripe cherry and berry flavours, spiced with very subtle hints of cinnamon and clove. This is a rich, rounded and rewarding fizz at the sweeter end of the Brut spectrum, made from extremely ripe Pinot Noir picked very late in the harvest calendar. 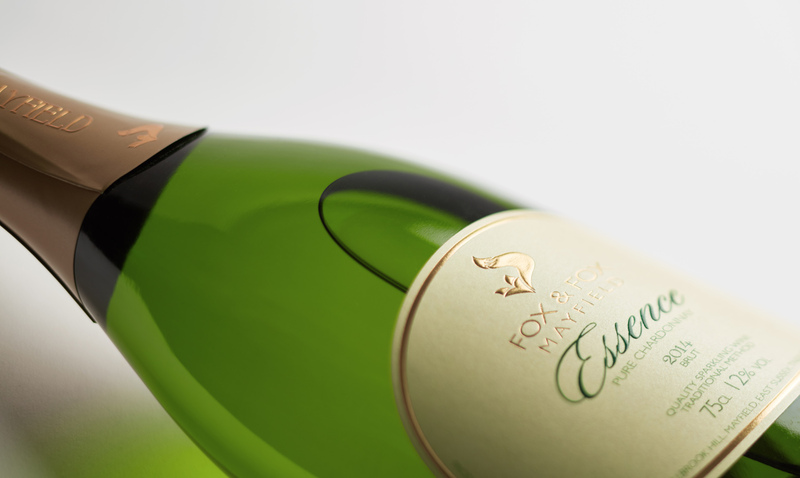 Essence is our pure un-oaked Chardonnay. It has become a bit of a cult wine with the critics and a sought after wine by our Private List members. We only ever produce it in very small quantities. It sings of citrus and ripe apples in a glorious burst of flavour. 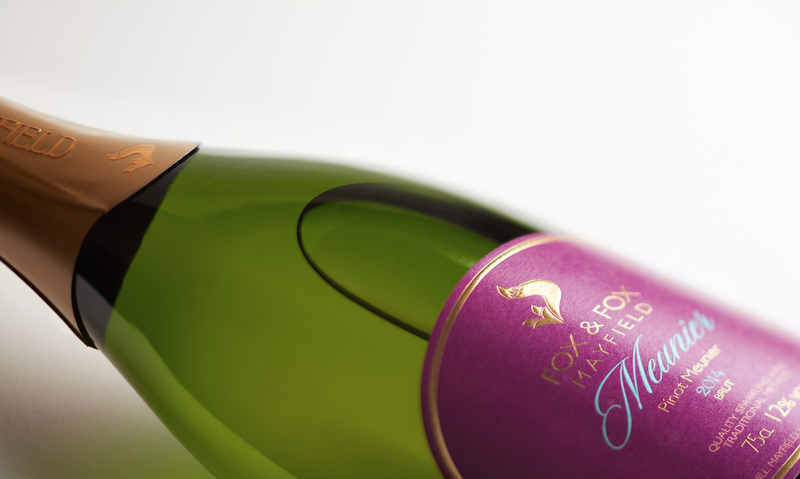 Small bubbles fill the mouth and deliver a refreshingly long finish. Essence is a wine that drinks well on its own, and offers good ageing potential. 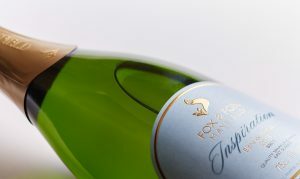 The perfect “anytime” fizz, light and uplifting with gentle orchard fruit flavours and soft, creamy bubbles. A blend of grapes from both vineyards. More often than not approaching a 50/50 Pinot Noir/Chardonnay cépage, it is made to be drunk slightly earlier than the other cuvées. Mosaic Rosé is our lovely summer time fizz, blended from both vineyards with a slightly higher percentage of Pinot noir than the Mosaic Brut. 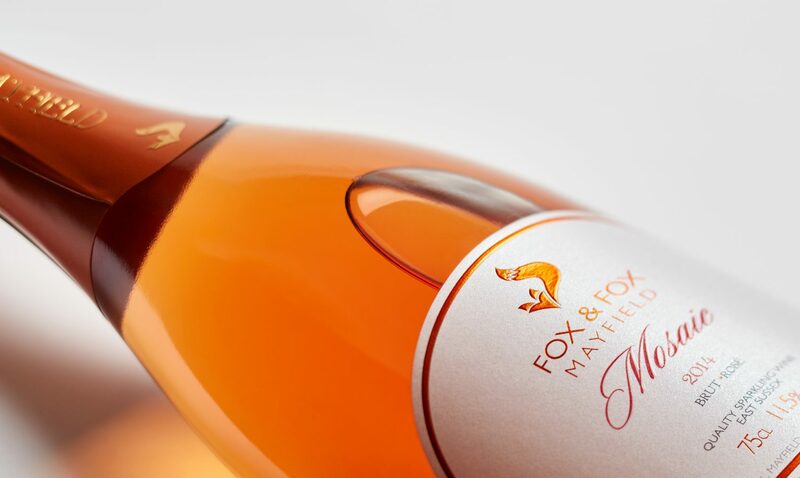 It is the perfect easy drinking rosé, with luscious ripe strawberry flavours, balanced by a mildly citrusy finish. It is a particularly pretty salmon pink colour in the glass, perfect for picnics or sipping with friends. Exceptional Pinot Meunier Limited Edition. 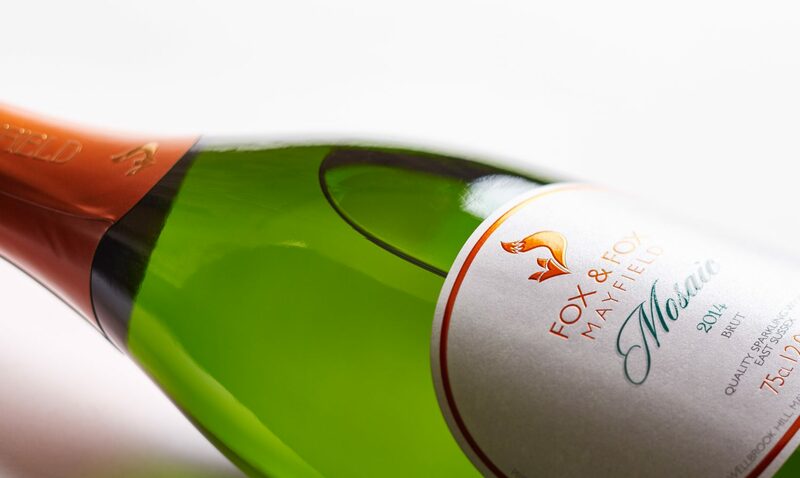 This wine is an elegant Blanc de Noir with lime-citrus top notes flying over subtle orchard fruit flavours, underpinned by a purity and minerality that is both refreshing and deliciously easy to enjoy. The wine is made from a selection from two separate Pinot Meunier parcels at our Lakestreet vineyard. The Pinot Meunier grapes are normally a part of our Tradition Brut Blanc de Noirs blend, but when they shows exceptional quality we make them into a single varietal cuvée.